It’s easy enough to go to a shoe store, see a couple pairs that you like the style of, try them on, maybe walk around a bit, and if they feel OK, you buy them! But not many of us think beyond the shoe store and consider what the shoes will feel like when you take the kids to the zoo, go on a run, or when you’re standing up all day at work. 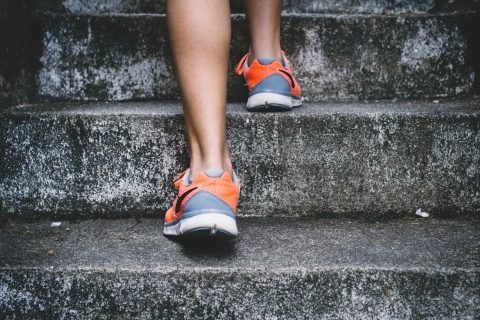 So if you’re looking for a pair of comfortable, athletic shoes, read these tips and actually find a shoe that fits your feet — instead of the shoe fitting your style! At Allcare Foot and Ankle Care, we care about your comfort, your feet, and your overall health. Because you use your feet every single day, you need what you put on them to help enhance your quality of life, not decrease it. If you are ever struggling with pain in your feet, warts, corns, athlete’s foot, or any other issue, get in touch with podiatrist you can trust. Every foot has a certain shape. Even though feet as a whole are generally the same, some feet are longer, some shorter, some more narrow, and some are wider than others. There are also different shoes that are made to fit all of these types of feet. But it can sometimes be hard to find a shoe shape that fits your specific foot shape. By tracing your foot, and bringing that with you when you shop, you can essentially try on the shoe without actually putting it on your foot. Simply place the tracing on the shoe and if they don’t match, keep looking. If you’re a shopper who likes hitting up the mall after lunch, this is actually the best time to look for shoes. Many of us spend the mornings running errands or cleaning the house, and these activities cause your feet to naturally expand. Shopping for shoes during the afternoon will ensure that you’re not purchasing a pair that will feel too loose in the morning. So, you wanted to go shoe shopping after work, but forgot to bring a different pair of socks. Even though the stores have those thin booties you can wear, they don’t give you a realistic feel for the shoe. If you are planning on getting a pair of athletic shoes, it’s essential that you shop when you’re wearing the same type of sock that you plan on wearing with those shoes. When was the last time you had both of your feet measured for size? Was it when you were 15 years old and just finished a growth spurt? Well, there’s a good chance your feet have changed. Every time you go to purchase a new pair of shoes, have your feet measured. Feet often change with age, whether one is slightly bigger, or they both get slightly wider. Don’t assume your feet are the same and just blindly get a pair that may or may not fit. This could be the most important tip. You sit down to put the shoes on your feet and sometimes, if they feel alright, you just get up and buy them. However, it’s very important to take the time to actually move around in the shoes. Get up and walk, do some jumping jacks, do a short sprint down an aisle, bend your feet, point your toes, do anything you want to in the shoes to make sure that every part is a good fit. 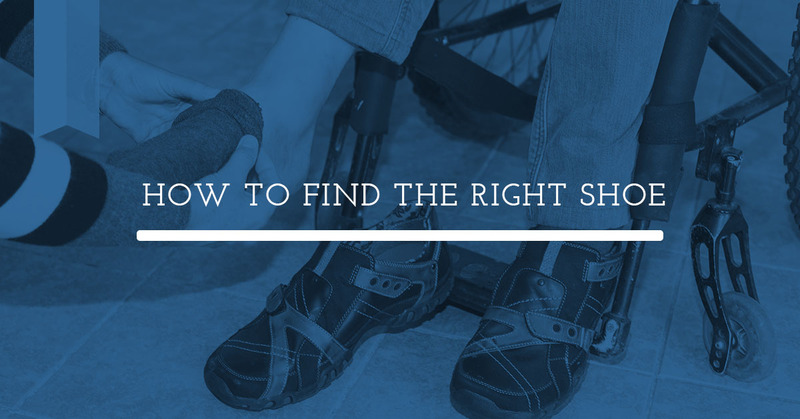 Pay close attention to how your toes feel, how your heel feels, and if they have the right ankle support if that’s what you’re looking for. If you’re thinking to yourself, “They just need to be broken in,” they probably aren’t the right shoes. Our feet spend so much time in shoes that don’t provide the right support, are too tight, and put our bodies in positions that just aren’t natural. Over time, the wrong kind of shoe will cause damage to your feet, whether it’s an ingrown toenail or even damaging the bone structure. Podiatrists don’t want you to give up your high heels completely, but we do want you to think critically when you’re shopping for a new pair of shoes. If you’re in need of a foot doctor, get in touch with Allcare Foot and Ankle Care in Arlington and Dallas today. Our team of podiatrists provide thorough and experienced care.